A past Director of the Eckerd College Writing Workshop, he is an Emeritus Professor and guest lecturer in creative writing courses. He's been our invited guest for recent editions of Word Smitten. This noted poet and short story writer provides our world's readers with his wit and insight. A favorite work in his vast collection is one in which his unique brand of observational humor describes incidental pickpockets accosting our lives and our minds. Tangled up with science and amused wisdom, this work lingers. It's joyous and dangerous. This pickpocket is contained in the recently released Zinc Fingers and this work is an accurately described pickpocketing incident, one of such adjoined marauding that halfway through it, it compels readers to reassuringly pat their own wallets. We are pleased to welcome Professor Peter Meinke as part of Word Smitten's literary team. A participant in the judging of the 2002 fiction competition (the TenTen Fiction Competition), Professor Meinke gives our site members the gift of his time, the gift of patrician literary and poetic traditions. For someone who recently turned seventy, we believe he wears traditions the way rivers wear light. About judging fiction. As he says in this month's interview, "My own stories and poems were helped when I won contests. My book, THE PIANO TUNER, received the Flannery O' Connor Award in Short Fiction, so I think I should do my part in this process. And of course in my experience I often get to read some terrific stories or poems." 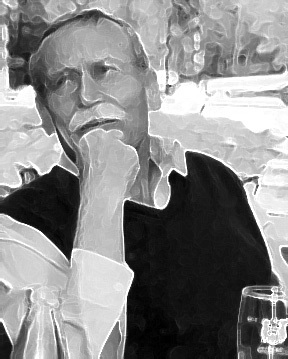 After you read his interview, we recommend you visit a few Web sites to discover more about Peter Meinke's poetic and notable observations of our world. By searching an engine like Google, you'll turn up hundreds of references to Peter Meinke. Collect his books. They're treasures. Click here for this month's Q&A with Peter Meinke.